This update is expected to be introduced into iOS 9 to help to improve navigation in urban centers. The creator of the iPhone is making some new improvements to its Apple Maps that will be bringing public transportation information to users, including route details about buses, subways and trains. This will represent the first time that that this type of data has been worked into Apple’s own mapping products. The users of iOS based devices lost this type of mapping enhancement when the company chose to focus on its own Apple Maps feature and broke away from Google Maps, back in 2012. The track record for the iOS based mapping application has seen its rocky times, but the new iOS 9 enhancements could help to place a very positive light on the service. It is expected that this update will be announced by Apple on June 8 at the WWDC event that will be held on that day. 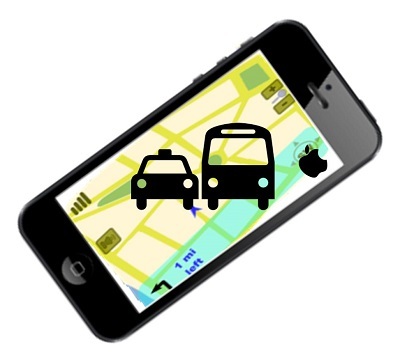 The transit information feature was actually planned for the iOS 8 version of Apple Maps. That said, those intentions were scrapped at the last moment by what was rumored to be data inconsistency issues in conjunction with personnel challenges. It is also said that at the time, Apple had the data to cover only one segment of what the company considers to be its prime market regions. Therefore, it chose to wait until the next version of its operating system in order to introduce it in a much more complete and functional form. This stopped the service from being announced at the 2014 WWDC. That said, unofficial reports are stating that the transit service component of the mapping app is going to be based on the same layout that had been designed for the version that was passed over in 2014. Therefore, this suggests that there will be large icons provided in the mobile app to make it easy to spot train and subway stations as well as airports. Beyond the Apple Maps changes that involve transit service, it is also believed that indoor mapping is also in the works by the company. This could help users of iPhones to better navigate historical buildings, university campuses, museums, and large office buildings. From comfort to convenience, smartphones have greatly improved the communication between transit and rider. The majority of commuters using public transit have smartphones with them, and bus, subway, and train system authorities know this and are increasingly catering to mobile technology and the many cost effective opportunities that it provides. Transit riders aren’t just using their cell phones to let people know about delays along their routes. In fact, communication is only a small fraction of what mobile technology brings to today’s commuters. From mobile ticketing to WiFi enabled stations, many transit authorities have worked these devices into the actual use of their transportation services. Over the last few years, this has grown to the point of being commonplace, so that many commuters have come to expect and rely upon the mobile friendly services that make the experience more convenient. Mobile technology has helped to remove some of the unnecessary inconveniences previously linked with public transit. 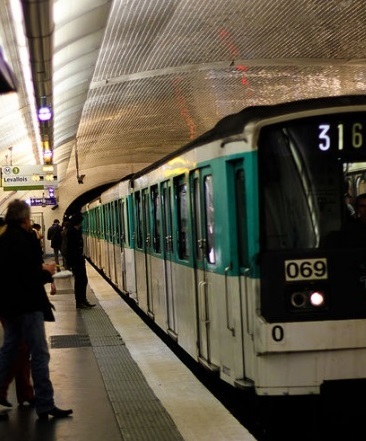 Mobile ticketing has become a growing trend in public transit, for instance. One example, among many, is the mTicket app from the MBTW (Massachusetts Bay Transportation Authority), which made it possible for riders to be able to buy fare no matter where they are or what time it is. That app was first launched back in 2012, and many other transit authorities have offered their riders similar types of experience. For those that have not yet implemented m-ticketing, mobile payments have become an option. This way, instead of purchasing a type of ticket over a smartphone, it is possible to pay for fare directly out of a debit or credit card account by way of different types of tech such as near field communication (NFC), or QR code scans. Transit systems around the world are offering riders ways to know when their next bus or train will arrive, which can help to ease the struggle of waiting. From Antwerp to the United States, commuters can use apps or scan QR codes on bus stop signs to better understand the schedule in real time. In fact, it has also recently been revealed that Apple Maps will be including transit information for large cities, in its upcoming update. Even entertainment for passing the time throughout the journey has become a factor. While apps offer a great way to enjoy games, social media, and other amusing time-killers (particularly when the transit system offers free WiFi connectivity), some systems have also introduced digital libraries, where QR codes can be scanned on the walls of busses and trains in order to gain access to public domain ebooks. 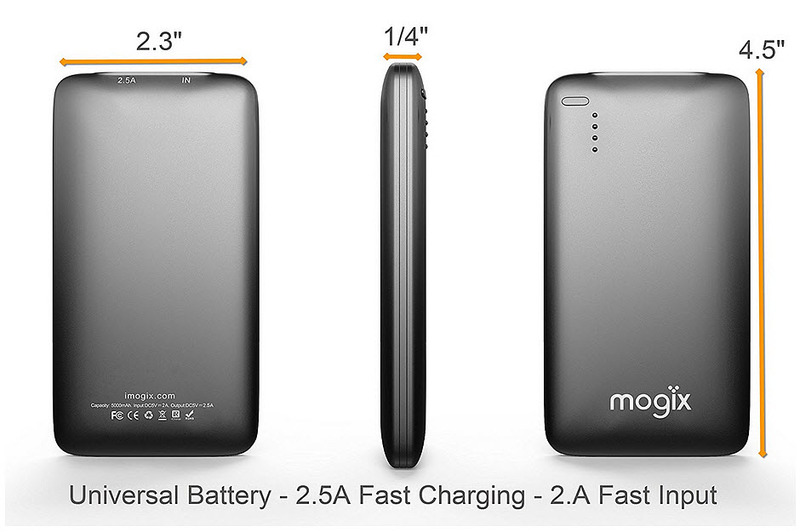 Of course, the team at Mogix power banks has pointed out that this makes it even more important that commuters always keep their mobile technology batteries charged, as these riders depend on the gadgets for their transit fare, wallets, information, and entertainment every day.